Ford has made quite a stir recently with their new aluminum frame F150 pick-up truck. And why not? It’s an innovative idea that has origins in sound logic. Aluminum is much lighter than steel. It’s actually about half the weight of an equivalent quantity of steel. So if an automobile is manufactured with an aluminum frame, instead of steel, you should see much greater fuel efficiency. While the benefits to an aluminum frame vehicle are quite obvious, many people wonder what are the possible drawbacks. One company interested in the drawbacks to an aluminum frame vehicle is General Motors. In fact, they recently introduced several commercials that are airing on-line and other locations that delve into the downside of aluminum vs their traditional steel frame Chevrolet Silverado trucks. GM’s argument is that while steel weighs more, it is more durable, tugged and reliable. Their new commercials featuring former NFL great, and current broadcaster Howie Long points to a study that was conducted showing that when a low speed crash occurs, the time frame and costs involved are exponentially greater on the Ford aluminum body truck. GM hired an independent firm to perform the tests. GM says that repairs took 34 days longer and cost $1700 more because of the complexity of servicing aluminum frame vehicles vs steel. Their argument is that because aluminum repairs require specialized tools and equipment, most auto body shops are not qualified to service aluminum body autos. This leaves you with only one option, the dealership. And then once you do get those repairs done, it is significantly more costly because of the expense of this specialized equipment, materials, along with the training required of the technician, as well as the complexity of these repairs. when you factor in that a typical contractor needs his truck fast, these extra 34 days could cost him much more than $1700 if he’s out of his valued truck for a month. They also mention that it could possibly increase the costs to insure these trucks, because of the higher repair costs. This debate is sure to go on from here, as technicians from all over are weighing in on this matter. We also hear that GM is actually planning on coming out with an aluminum body truck as well, so if there are so many problems with it, why would they come out with one as well. Perhaps, if you can’t beat ’em, join ’em? As the government mandates more strict fuel efficiency standards every year, there may be no choice at some point. Yet another example of well intentioned government regulations costing tax payers more dollars. Another more humorous video shows GM unleashing a Grizzly bear in a room with people, and they have to choose which cage they want to escape to, a steel frame cage, or an aluminum cage. Guess which cage they chose? According to the Massachusettes Right To Repair Coalition, the voters have spoken. And the result is – They overwhelmingly approve of the right to Repair law voted on by referendum on Question 1 on last Tuesday’s election. The reason this historic legislation is so significant is that Massachusetts is the first state to pass such legislation. It effectively allows car owners to take their car anywhere for service. Prior to this, auto manufacturers were able to withhold important repair and diagnostic information vital to troubleshooting and repairing vehicle troubles. The law makes it illegal for manufacturers to withold this info. Previously, manufacturers only allowed their dealers to have access to this information. Obviously, there is another beneficiary besides car owners, that is independent auto repair shops. For years, they have lobbied through their coalitions to gain access to this vital information. Our best guess is that this trend will snowball further on down through all the other states, and soon we will see this type of legislation becoming the law of the land throughout the USA. There are efforts underway currently on the national level, as new legislation has been introduced for consideration this next session. Consumers will be happy because they can expect significant decrease in the costs for repairs, as well as the added convenience to be able to bring their vehicle to the nearest repair shop of their choice. The year was 1980. GM came out with the Assembly Line Diagnostic Link otherwise known as the ALDL. It was used as a tool for diagnosing on-board computer functions prior to the vehicle being rolled off the assembly line. Shortly afterward, the entire industry jumped on board, using this connection as an access point to the brains of the vehicle for servicing it. This was the beginnings of the scan tool. Modern scan tools are much more advanced than these early, rudimentary devices. They can diagnose a wide variety of troubles that would otherwise take a great deal of time to resolve. When using a modern scan tool, the first order of business is to inspect various vehicle components to rule out any mechanical problems that might trigger a false trouble code. The technician should check wiring, hoses, cables and more. Diagnostic Trouble Codes (DTC’s) would be the most frequent reason for use. These codes are not necesarily a diagnosis of the specific problem, but the are an indicator of a problem within a specific system or area of the car. These codes provide a starting point, but they do not typically point to the specific problem. Chasing codes has been further expanded in more recent years as many states adapot OBD II checks instead of the more traditional testing through the tailpipe of the automobile. When purchasing a scan tool, you’ll want to choose one that meets a wide range of uses. Make sure you can see what kinds of codes will be displayed. Some scanners only list generic OBDII codes, not providing the most precise detail that you need. Some problems within certain vehicle systems cannot show up in the trouble codes. In these circumstances, it is up to the experienced technician to decipher the serial data, or Parameter Identification Date (PID). If a sytem falls outside of it’s normal specified values, you need to investiugate further. Just as with any thing, a scan tool is a tool to assist you, but it is not a cure-all. Diesel engines have changed over the years. Performance has improved, and manufacturers have decreased emissions dramatically. However these improvements have not eliminated the need for service. Sulphur content and contaminants have been decreased and performance has been enhanced by improvements to the fuel as well as the engineering of the latest electronically controlled engines. When diesel as well as other carbon based fuels are burned, a by product that is produced is Carbon (long with other contaminants). Carbon deposits cause all kinds of problems and lead to inefficient fuel combustion because they do not atomize as well. When you shut down a diesel engine, the fuels in the motor is extremely hot, and the fuel separates as the heavier components settle to the bottom. This is the leading cause of the fuel system problems. Given these common problems, it stands to reason that it’s a good idea to prevent these problems before they occur, so that you dont need to replace more expensive engine components, like fuel injectors and pumps. This is where our Motorvac Diesel Tune IDT 4000 comes in. After you connect it to the vehicle’s system, the detergent is circulated through the fuel system and cleans deposits off the injectors, valves, rings, fuel pump, and other surfaces. The contaminants are removed by a 5 micron filter to leave the system clean and fresh. Everybody has had it happen. You stored a car over a long term period of time, or maybe even a lawn mower or some other piece of gas driven equipment. Then, you go to start it up after this long lay off. Of course, it doesn’t start. Or maybe it starts, but runs poorly. Perhaps the engine knocks or sputters, or even stalls out. At the very least, the engine doesn’t run as efficiently as it should. This is the most common reason for fuel failure. As gasoline ages, it starts to smell like varnish. It thickens, and it gums up. It clogs modern fuel injector ports that are much smaller than their earlier carburetor counterparts. When gas ages, or when it gets contaminated, such as with water, it doesn’t burn efficiently. Worse case scenario – you can actually harm the engine. 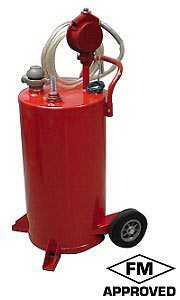 If you suspect the fuel in question is contaminated or old, it is safest just to dispose of it properly. Don’t take the chance of using it and causing more costly problems than just wasting a few gallons of gas. One of the first things to do if you suspect a problem is to check your fuel filter for particles, water or gunk. You will need to siphon the bad fuel into a container if you need to bring it to a facility that will take it away. There are usually locations in most areas that accept hazardous waste materials. Usually, you can contact your local and state authorities to determine the location. Always dispose of bad gas properly, as it is considered a hazardous material and there are serious penalties these days for disposing of them improperly. Some local and city governments will also hold single day events annually for citizens to come in and dispose of these materials. Make sure to check with your local authorities what is considered to be the maximum amount you can transport as a private citizen. There are limits to the amount of gallons you can carry without a commercial vehicle and or container. The best practice is to not let fuel go bad in the first place. First, don’t let it sit for too long. And if you must, you’ll need to put some fuel stabilizer in the gas to keep it fresh. With the advent of ethanol, it is also wise to put an ethanol treatment in your fuel as well. Especially when for use on small engines, like on lawn mowers. It would also be a good idea to run the engine once a month to help circulate the additives that may have settled. Remember the days when it was assumed that every 3000 miles, you had to change your car’s motor oil? It was the mantra from everybody. It was automatic. Well not anymore. Sure, many car manufacturers still designate 3000 miles as the mandatory oil change mileage, but many more vehicles are mandating longer time frames. Some folks used to even change their oil more frequently than 3000 miles. Some as early as every 2000 miles. The feeling was that if 3000 was good, I’ll treat my motor even better, allowing to operate at peak performance. Modern vehicles have a service indicator light that tells them when to change their oil now, so it makes it much easier for the driver to determine when to get the service, eliminating the need for the local oil change shop’s reminder sticker on the upper left of the windshield. Twenty percent of 2012 survey respondents change their oil between 3,001 and 4,000 miles, 22 percent between 4,001 and 5,000 miles and 11 percent over 5,000. Obviously this makes it much easier for the consumer. Why have the mileage requirements changed in recent years? This can be attributed to advancements in both the modern automobile engine, as well as the oil itself. Some synthetic oils on the market today last significantly longer than traditional oil. Some engines actually don’t need their oil changed for up to 50,000 miles! This is obviously a great feature for peace of mind. Although most are still in the 3000 to 5000 mile range. So the next time your car is due to go up on a car lift for a service, pay attention to the mileage. You will be surprised at how infrequent the need is. Repeat problems can be a big hassle for many auto shop owners. All shops see them. But how do you deal with them? How you deal with them is the most important factor in retaining your loyal customers. After all, you risk your customers seeing you as unwilling to repair a problem, or worse yet, incompetant. If you don’t resolve the issue fast, you will not only lose that customer, you will likely lose many other potential customers due to word of mouth. Always treat a comeback as a priority. Never tell the customer that they’ll have to wait until another job gets done first. remember, they were there before the current customer. Follow up with the customer the very next day after you have resolved the problem. Don’t wait later than that or you’ll forget. You’ll be amazed at how much goodwill it builds with the customer. It shows that you really care about them. Take care to document all actions taken. This can aid you in continued troubleshooting of this problem as well as other problems. Not only that, but it can help you isolate a potential common problem. Perhaps you received a bad batch of auto parts from a supplier. Perhaps you have a technician who is performing a task improperly, and needs re-training. Good record keeping will help you determine it more quickly, saving you time and money. And ultimately, isn’t that the bottom line? It was only a few years ago that you would expect to change your plugs every 30,000 miles or so. Recent advancements in spark plug technology now allows drivers to get up to 100,000 miles out of their plugs. The introduction of platinum and other precious materials to spark plugs has boosted the life expectancy to create the modern “Long Life” spark plug that is becoming prominent today. Most new vehicles come with extended life spark plugs today. These plugs also improve engine performance along with fuel consumption. Of course, these premium plugs come at a higher price, but are worth it because of they last so much longer. This is a plus because it can get expensive changing out spark plugs with the modern engine compartment getting so cramped. When plugs are so difficult to gain access to, the increased time it takes to replace them means increased labor costs for recession weary consumers. When technicians are counseling customers on which plugs to get while their car is on the Auto Lift, they should bring to the driver’s attention the longevity benefits of these long life spark plugs, along with the increased performance and fuel economy benefits. At the same time, when changing out the plugs, it is the technician’s responsibility to inspect the old plugs for irregular wear, carbon or oil build up or any other potential problems so that he can diagnose to help prevent future problems. These conditions could mean there is another problem that may have gone undiagnosed up until now, and could help save the customer money preventing a future problem. If you can provide this level of service to your customers, you are sure to retain them as a loyal patrons. We’ve all encountered it. You are trying to remove a frozen nut from a wheel or some other component, and it just won’t budge. There’s just too much corrosion due to years of build up and oxidation. Or maybe the nut is stripped. These situations call for more than just brute force. You risk damaging some component of the piece that you are working on, or worse yet, your knuckles. One of the first tactics technicians will turn to is putting a torch to it to see if that frees it up. Heat will cause metals to expand, thereby allowing you to free it up. However, heat can result in problems in many applications. You can damage adjacent plastic or rubber components with the extreme heat, and some metals may even warp under the heat. Plus, common sense should dictate that you shouldn’t use a torch near any flammable components, or near any systems that utilize hydrocarbon liquids. In these cases, a viable alternative is to introduce cold to the fastener. It can have the same effect as heat in these situations. It will cause the fastener to contract, and any movement , whether expansion or contraction, will potentially free up those stubborn fasteners. If it’s just a case of the nut being stripped, there are many tools on the market that will allow you to get a “bite” on the fastener. They are too numerous to name here, but they can be very effective in those situations where your wrench just can’t get a good grip on a worn out old nut. When its just a case of plain old corrosion, a good penetrating oil or lubricant works extremely well. But sometimes you need to give these lubricants some time to work it’s way into the corrosion. And we all know time is money. Sometimes we need the fastener free now, not later. There are many different types of lubricants, and all have their place for certain applications. Some lubricants are not compatible with certain materials. Some may not be compatible with plastics for instance. Others may not be compatible with other oils or greases that may be nearby. Once again, some lubricants are flammable, and should not be used near a heat source. 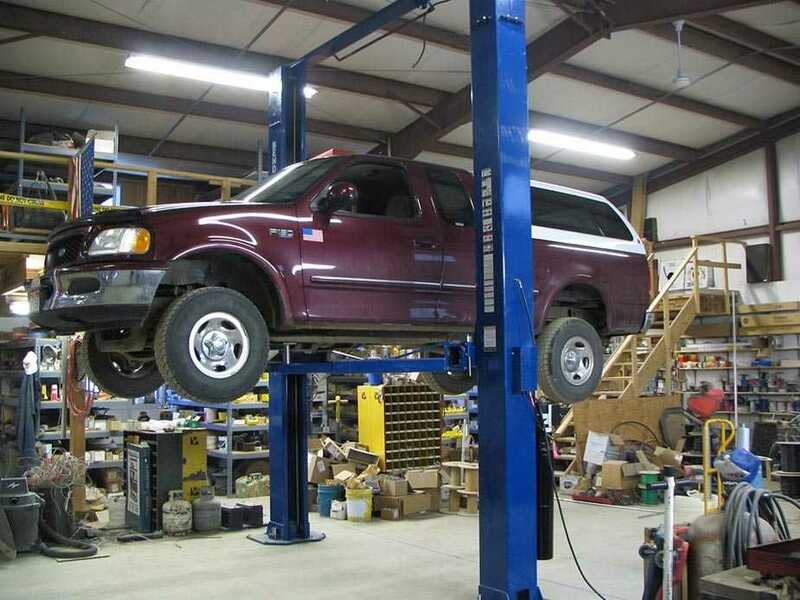 As you can see, there are a myriad of concerns to consider when you have a car up on the Auto Lift and you are trying to tackle a stuck fastener. The method you choose should be considered carefully before jumping in head first. Summer is coming sooner than you realize, and one of the most common services technicians perform during the warmer months is AC system service. 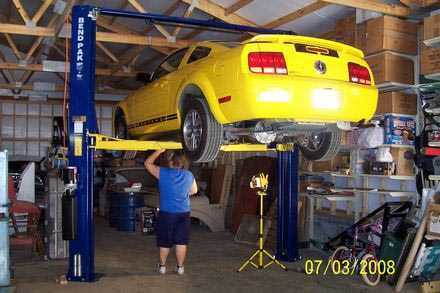 It can be a profitable service for the repair shop owner, and a vital service for the customer. But it is more important than ever to assure that the service is performed properly, as government regulations are becoming more strict each year. Add to that the increasing cost of refrigerant, and there’s plenty of reasons why you don’t want to let any escape into the atmosphere. Another major concern is mixing refrigerants. (MACS) the Mobile Air Conditioning Society has issued a reminder for all technicians across the globe to use a refrigerant identifier when servicing an AC system to make sure the improper mixing of refrigerants does not occur, and to assure of the purity of your refrigerant. The standard that AC Service Systems must conform to these days is SAE J-1771. If you don’t verify the refrigerant, you risk contaminating systems, and having a costly headache on your hands. If an improper refrigerant is introduced to a vehicle’s AC system, you risk anything from minor, to severe issues, including reduced cooling capability, corrosion of hoses and seals, up to and including total system failure. We carry two different manufacturers of AC Service Machine, YellowJacket and RTI. They are packed full of features, boast the finest quality, and are affordably priced. Both are made in the USA, are durable, reliable, and accurate. And both comply with SAE standards. Check them out. You are currently browsing the archives for the Automotive Maintenance category.